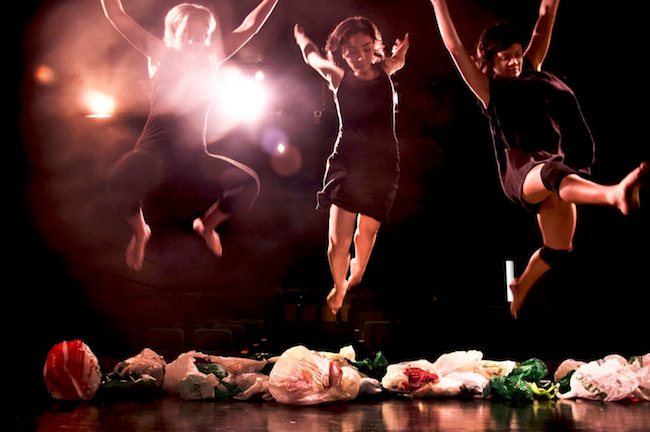 This weekend, three Los Angeles-based female choreographers of color unite to present a collaborative performance project entitled It’s Not About Pretty at Bootleg Theater. All Blaktina Festival alumni, Mallory Fabian (fabe Dancen), Brigette Dunn-Korpela (B. Dunn Movement) and Vannia Ibarguen (VIDA Dance Arts) will each premiere a 20-minute piece. The idea for this joint program emerged from a shared desire for there to be a collective platform for diverse voices within the L.A. professional dance community. They wanted to promote equality, inclusion and artistic support. For the artists, this is an opportunity for “raw and authentic work” to inspire conversation around race, gender, body image, identity and environment, and a timely call to action for audiences and artists alike. Each choreographer will share their aesthetic approaches with their work and will then participate in a Q&A to engage the audience in a discussion. Performances are set for November 30 and December 1 at 7:30 p.m. For tickets, head to www.boolegtheater.com. The bar will be open throughout the evening. Photo: VIDA Dance Arts. Photo by Prin Rodriguez.